Miami’s most artistic neighborhood is getting new soul with a recently launched yoga studio and wellness center, Sol Yoga. Boasting infrared heat panels, Sol Yoga is a state of the art sanctuary with more than just a vision to get locals on the mat. Founder Cathy DeFrancesco hopes to inspire others to see wellness as accessible and uncomplicated, no matter where they’re starting from. 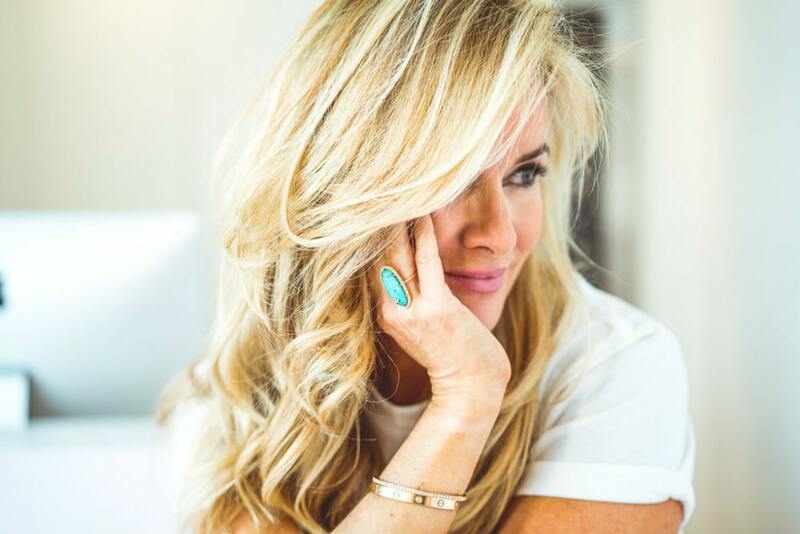 We sat down with DeFrancesco to hear more about yoga as ‘the secret of life’ and the personal journey she took, leading her to create Miami’s newest ultimate detox and yoga destination. Cathy, tell us about opening SOL Yoga in South Florida! CATHY DEFRANCESCO: Since discovering yoga several years ago, it completely changed my life. At that time, I was doing mostly high intensity gym workouts, and yet never feeling truly ‘connected’ to it. I’d get a good cardio fix, sure, but beyond that, these workouts didn’t help my stress level – if anything, they added to it. Particularly while raising four kids and focusing on my career. What people tend to overlook is that exercising is great, but too hard, too fast and too often, only creates more oxidative stress – which is like speeding up the aging clock in the worst way. Not until I found yoga – or yoga ‘found me’, as they say, did my whole body and mind feel a sense of ‘wow’, this feels right. Yoga changed everything in the most profound and positive ways – from the food I eat, to how I raise my kids, to how I deal with traffic. So much, I began to refer to yoga as ‘the secret of life,’ and made it my mission to share this with everyone possible. Which led me to open SOL Yoga. The SOL Yoga studio features gold lighting and the latest infrared heat available. What are the health benefits associated with infrared heat? CD: Infrared has been around for years and years, and used in other cultures for its therapeutic benefits, including injury recovery and detoxification. Like the sun’s rays (only without UV), infrared does more than warm the body. It penetrates deep at the cellular level, promoting increased circulation, which in turn helps reduce inflammation, increase collagen production, metabolism and help flush out un-necessary toxins. Combine infrared with yoga, and you get the most amazing pairing for both physical and mental health. Hence why I made sure to invest in the best infrared possible. Mounted from my studio’s ceiling, you’ll see rectangle panels suspended - those are the infrared magic! Would you say the SOL Yoga classes go beyond traditional hot yoga? CD: Absolutely. Infrared doesn’t overwhelm or shock the body like ‘hot yoga’ can do. It’s why people leave feeling so rejuvenated and not exhausted. As for the teachers and classes themselves, my team is solid as they come. It took some time to find the best in Miami, but I’m confident, you’ll find them at SOL! They’re experienced, they each have their own style, and cater to yogis of all levels – from beginner to advanced. They know music, and play it well. Plus they do our SOL signature shavasana, which you have to experience to know what I’m referring to! So good, you won’t want to leave. Burning the candle at both ends while also trying to work out regularly and stay in great shape, what was your journey to creating the SOL Yoga brand? CD: With yoga, my entire life shifted on a more positive level. My stress went down. My diet, sleep changed. My patience, openness and creativity began to soar. Because of all this, my journey to creating the SOL Yoga brand, came quite naturally. Add the fact I’m traveling around the world for business and personal, keeping a pulse on health and wellness innovation, products, treatments – you name it, as the company I run invests in such, it was a matter of time before I introduced SOL Yoga as a brand for others to enjoy. CD: My advice particularly for women, juggling multiple balls in the air, is to remember to put your oxygen mask on first! So often, we take care of others, their needs and wants, and put ours last. Or not at all. Take my advice, schedule your yoga or your workout, your lunch or coffee with a friend, like it’s a part of your workday. Put it in your calendar, and block that time off for no one but you and what fills you up or brings you joy. If you can’t turn your off phone for one hour, try getting up earlier - bottom line, make your time a priority and enjoy it to its fullest! You will be a happier, more present friend, mother, sister, etc. because of it. By going to SOL Yoga, do you think Miami locals can gain the same inspiring life lessons that you did? CD: That’s my mission and I can tell you based on conversations I’ve had and hear from my team, people are really loving SOL and what we offer. Call me biased, but even my teen-aged sons and young daughters are already hooked. In today’s social-media day and age that alone says a lot! There’s no age limit, no special skill required – just an openness to try yoga and see where it takes you. Up until now, I couldn’t find a studio in Miami that’s like SOL. One that combines contemporary design and aesthetic, luxe amenities, with great teachers and staff - a place to truly ‘feel great here’. Miami now has it – and there’s more to come! Do you plan to expand to other South Florida locations? CD: Yes! 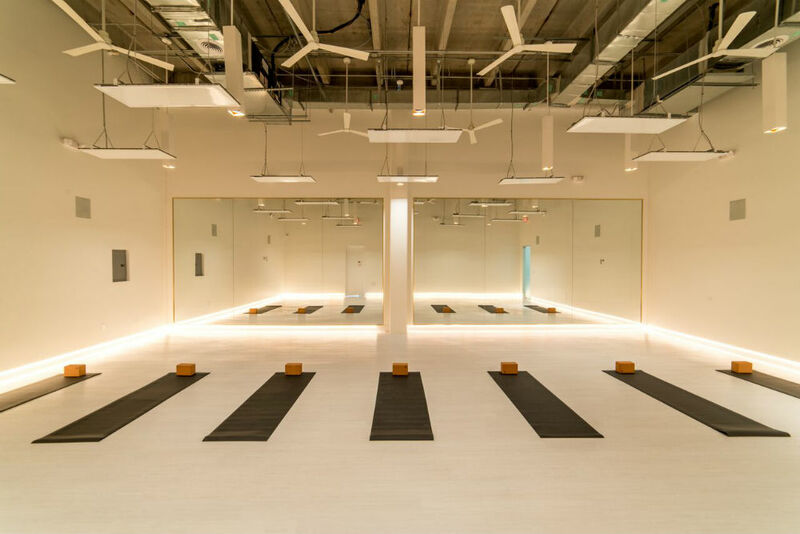 Along with Wynwood, SOL Yoga Fort Lauderdale and Aventura will open in Florida. Taking SOL Yoga international is next, starting in London, England. Each will be unique to their locations, for example, Fort Lauderdale will be more than twice the size of Wynwood, with two studio rooms for yoga and hybrid yoga/pilates classes. It’s also going to offer more in the way of health services, products, and treatments, including IV therapy, a smoothie bar, SOL branded wellness products and more.